At Tree Taxi, we offer the finest, most environmentally sensitive tree transplanting services. In fact, we have been helping people with their unique tree moving needs for over 20 years. We take pride in our work, and we are dedicated to providing the best customer service possible. We have trees for sale! Want to add a pop of red into trees next fall? 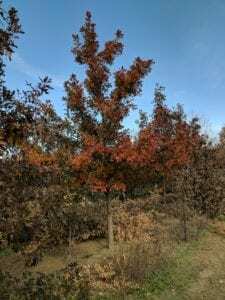 Ask about our collection of red oak trees. 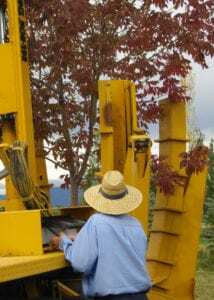 Looking for the best tree transplanting company in Longmont, CO? You have come to the right place! We proudly offer our tree transplanting services to Longmont, CO and surrounding areas, within 50 miles. Glad to find someone who doesn’t mind helping with small jobs. Greg also provided some great advice/options for future landscaping. He was friendly and patient with my questions – thank you!! Greg did a great job and was very informative. I would use Tree Taxi again and highly recommend him. We HIGHLY RECOMMEND Tree Taxi. 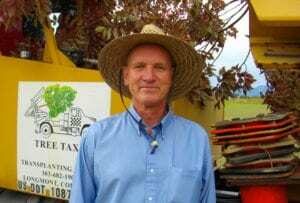 He’s professional, courteous, reasonably priced, and is a great resource for any tree questions that we had. We will use him again in the future for any tree moving needs. Thank you! I needed an Autumn blasé maple tree ball removed. I called them and he was out of town for the fourth. He scheduled me and was there on time. His Knowledge of the kind of soils we have here was great. He popped the ball out and off he went. I will certainly refer him to other people. Great job he backed up to it in front yard and put the spades in popped it out and off he went. They moved a large blue spruce tree on my lot. They arrived promptly. Work was done carefully and professionally. Greg is very knowledgeable and did a great job. He spent extra time showing us how to properly stake down the tree, too! Tree Taxi offers a safe, effective and environmentally friendly alternative to tree removal, where the tree is just cut down. Wonder why that matters, or have a question about large tree moving or your tree moving cost? Check out our Frequently Asked Questions page, then call us at (303) 682-1907! Check out our latest video on Timescall.com where we were able to save eight trees during the Longmont Museum expansion and replant in our local parks.